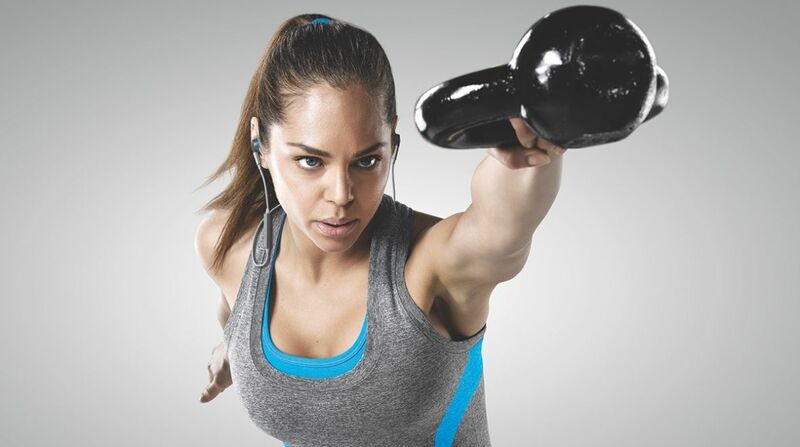 Jabra isn't one of the companies you'd immediately name if quizzed on key wearable tech innovators, but the company is leading the 'hearables' race – and has recently brought its second biometric sensing sport headphones to market. In 2014, the company launched its Jabra Sport Pulse headphones, a set of wireless buds that could read your heart rate while you're running. And last week came the follow up – the Jabra Sport Coach – which replaced the heart rate sensor with an accelerometer, and an all-new app packed with structures workouts. At the helm is CEO René Tune-Svendsen, who took over just three months ago. Before that he sat on the board of Great Nordic (GN) – Jabra's parent company, which makes its money developing top end hearing aids and business headsets – and with it, the microelectronics and patents which Svendsen insists is crucial for excelling in the new world of hearables. "Great Nordic is a sound business – we have hearing aid and headset businesses and a lot of know-how in the company. We have been doing both for many years," he told Wareable. And while connected headphones are a new product line for the company, Svendsen believes it's an area with huge potential. "They are flagship products but they are very new, we're seeing very high growth rates but from smaller numbers. But we see this space as a very prominent one, and we are putting a lot of emphasis on going in this direction." "The whole wearable trend is coming through and it's becoming obvious that with hearables and access to smaller biometric sensors this is a natural way for us to go." The secret, in the eyes of Svendsen and Jabra, is adding wearable technology to music – and it's that ingredient that he believes is key to the success of hearables. The ear is a very good place for biometrics because you have thin skin and high blood flow and so on, so you can do a lot from that spot on the body. "Consumer behaviour is quickly becoming music and something," said Svendsen. "Music and office use, music and telephony and now, increasingly, music and sports. We see this as a promising market and one we have high hopes for." Hearables have been a big buzzword in the last 12 months, with innovative products such as the Bragi Dash and the Moto Hint dominating the space. While the Jabra headphones aren't the sci-fi virtual assistant, like we saw in the film Her, Svendsen says this is only the beginning of Jabra's journey into hearables. "It's obvious you can combine sound and music with other things, and in that sense hearables become more and more natural," he said. What's more, Svendsen believes that unlike many wearables, which are driven by primarily by technology – hearables fit better with people's daily lives and the technology they're already using. "We can move things from the wrist to the ear and we can reduce the amount of gadgets you have to carry. We think everyone will be carrying into a headset of some sort – so hearables are being driven by the technology on one hand and by people's lifestyles on the other hand." "We started by putting a a heart rate monitor in the ear with the Jabra Sport Pulse, which surprised many people," Svendsen continued. "The ear is a very good place for biometrics because you have thin skin and high blood flow and so on, so you can do a lot from that spot on the body. "For us it's quite natural. The pulse was designed to be optimised for running – and a lot of runners listen to music while they run, and many of them also wear a chest belt of some sort. We integrated these two elements. Both are important for running performance and enjoyment, so it's obvious for us to combine that. "Now we've expanded that and put a movement sensor into the ear. While running is one part of people's lifestyle, doing exercise at the gym or at home is another. This gave us the idea of to put exercises in an app and offer some coaching via an app," Svendson said. Wareable has been testing the Jabra Sport Coach ahead of its review, and while the Coach does indeed use a movement sensor, it's impact on workout data is minimal. In fact, beyond cadence during running, there seems to be no benefit whatsoever, given that the headphones don't track repetitions in the exercise regimes at all. We asked Svendsen whether integrating the movement sensor into the exercise regimes had been too much for the company to do. "I think somehow what we have with this product is actually a platform we can keep working on. It's quite evident that more can be done with motion sensors, but we are now in an app environment, so of course we will move on with this product," he said. While other companies have partnered with fitness brands to release coaching apps, Jabra has decided to go it alone. While this could diminish credibility of the coaching programme in comparison to big name apps, Svendsen said that it was important Jabra remains open to all platforms – and let users choose their own apps for the Coach. "When we bring out the technology we want it to be as open as possible. When we brought out our running headset it was compatible with running apps on the market." It's a plan that's worked well. The Jabra Sport Pulse can act as a heart rate monitor for nearly every major fitness app, unlike rivals such as the SMS Audio Biosports which are limited to just RunKeeper. While the Jabra Sport Coach is still to name any partners, it seems the company is set to keep developing it after its launch. "We don't want to lock ourselves out, or lock out anyone. People should have the choice to choose the app they like best." Do you think the ear is the future of wearables? Let us know in the comments below.